It doesn’t. It never does. 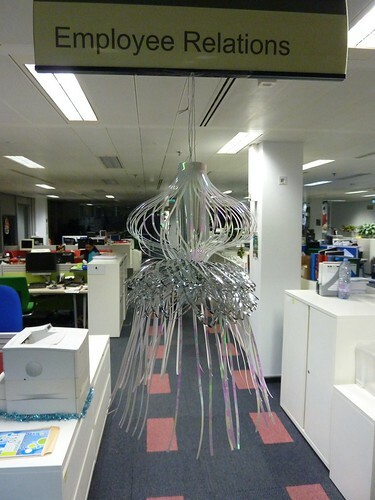 Inappropriate position of tinsel and other cheap shiny tat makes my heart sink. The pseudo-designer in me casts a critical eye over it. I judge. I dismiss. I snort with derision. That’s me. Nasty, aren’t I? I shouldn’t be quite so damning, I know. After all the area of the office I work in where these pictures were taken is occupied by people who are – technically my colleagues. In fact, they’re more than that. They’re colleagues who are on the same floor as me. I pass them on the way to my desk every morning. And even if I didn’t, you never know when I might need to call on the services of … employee relations. I jest. 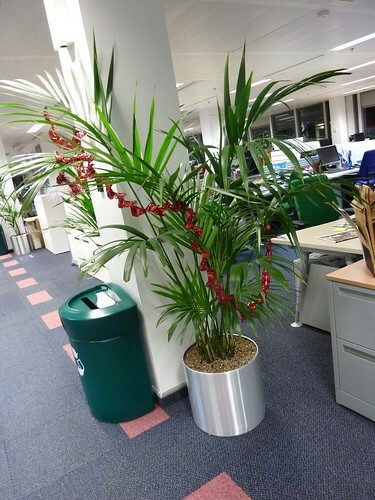 I’m not having a go at those who see the decoration of the office environment as part of the annual Christmas tradition. After all, it’s not really that much different from the rituals I go through every year decorating the house. There’s love there. There’s a collective desire to mark the season. And there’s eagerness. 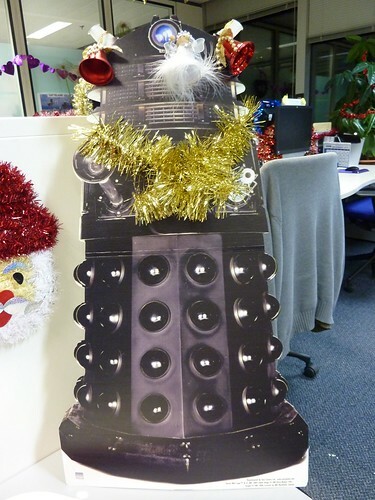 It’s the 1st December. 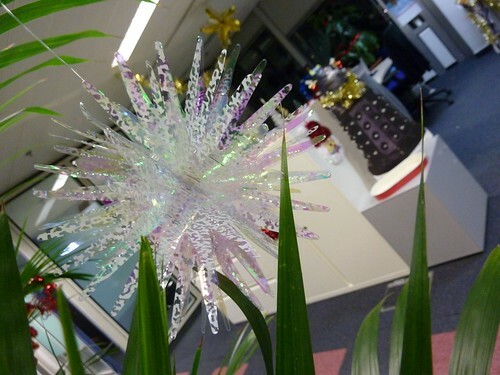 It’s quite early to be thinking about christmas decorations. 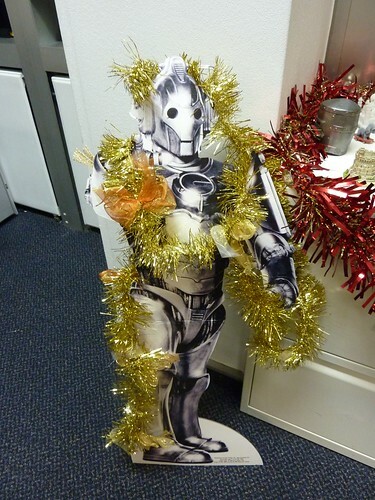 … and definitely the Cyberman. Camp old baggage.